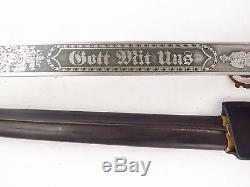 ON ONE SIDE OF BLADE INSCRIPTION "GOTT MIT UNS " - "GOD WITH US". 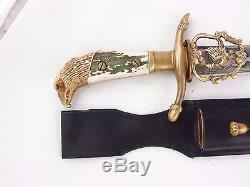 HANDLE MADE OF DEER HORN. 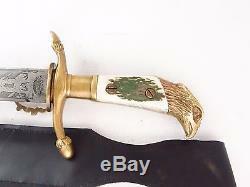 POMMEL IN THE SHAPE OF AN EAGLE'S HEAD. 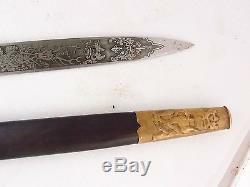 THE BLADE IS MAKER MARKED WEYERSBERG & CO SOLINGEN. 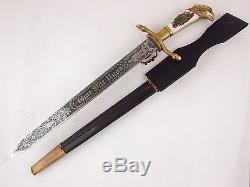 Total lenght about 18 inches. 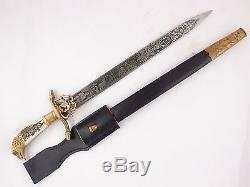 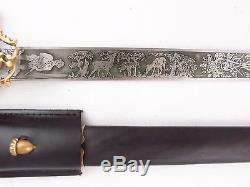 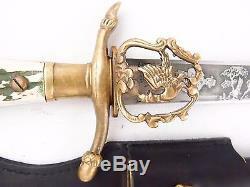 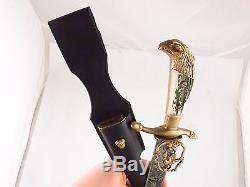 The item "German Dagger Prussian Hunting Forestry Cutlass Sword Knife EAGLE! 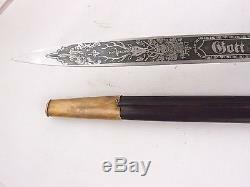 WEYERSBERG" is in sale since Wednesday, January 20, 2016. 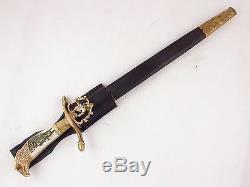 This item is in the category "Collectibles\Militaria\Militaria (Date Unknown)\Other Militaria (Date Unknown)". 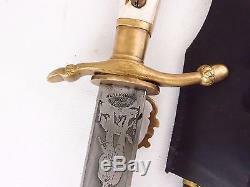 The seller is "antiquesalee" and is located in Olsztyn.